If you neglect the important task of taking care of your body and the shape that it is kept in, then you will be denying yourself of the chance to play the kind of golf (as well as how you feel and look) that is your very best! Regular exercise not only trains the muscles, strengthening and promoting increased flexibility and endurance in them, but it gives you the mental toughness so necessary to be the best golfer you can be! Think about it. 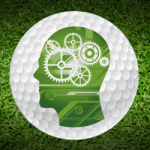 What sport doesn’t require physical and mental mastery? Not any that I can think of. Maybe chess, but then again that isn’t a sport. All one needs to do is look to the professional golfers these days. What do they do to prepare themselves to be their best? (for example, Tiger , David, Lee, Justin, etc.) You guessed it, they prepare THEIR BODIES! More and more pros are being seen in the fitness trailers and gyms, pumping iron (not as much as strength athletes, true, but enough to condition their muscles at much higher levels), doing cardiovascular work, and stretching throughout the complete range of motion. That’s the key — performing golf-specific exercise CORRECTLY! Football, basketball, weightlifters, even baseball players have the need of explosive movement in their sport, therefore their training consists of intense movements done with considerable resistance and for short duration (weight – in the form of dumbbells or barbells, machines, cables, etc.) for 8-15 repetitions. Golfers, on the other hand, though their movements are explosive as weight is transferred throughout the body and out the club to the ball, require considerably less weight and higher repetitions for longer duration (generally for 12-30 repetitions) to avoid building inflexible, inelastic muscles and tissues. 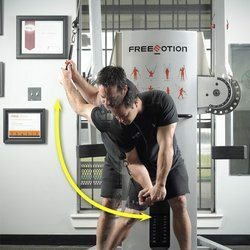 Golf-specific training should be centered around building flexibility, endurance, and lastly, increasing strength to provide that additional power and weight shift as you swing. Any exercise that is golf-specific and meant to improve your golf game MUST involve a great deal of stretching, before, during, and after your exercises. This is what separates golfers from the other athletes. The need for intense control is enhanced by conditioning your muscles to not only create the swing adjustments and techniques necessary to adapt to every situation (bunker play, rough lies, draws, fades, distance shots, blind shots, etc. etc. ), but to promote that all-important factor of relaxation and mental control. Start your new golf season off on the right track — WORK OUT! Your time will be well spent and the rewards will show with lower scores and more fun!!! –NOTE: Don Tinder & Golf Digest magazine are teaming up to publish “The Pocket Tips Fitness Guide Booklet” (adapted from the “Pocket Tips Fitness Guide for Golfers of All Ages” by Don Tinder, as seen in the March issue of Golf Digest). The booklet can conveniently fit into your golf bag or pocket and will help golfers everywhere with simple, effective golf-specific exercises that can be performed easily, right on the golf course (or away from the course as well). This booklet can make a great premium item or gift for golf courses, tournament prizes, pro shops, corporations, businesses, etc. For further information, please contact Kelly Brittain at Golf Digest (1-800-838-3387).